In this 90 minute class, students will learn basic fundamentals of aerial silks. 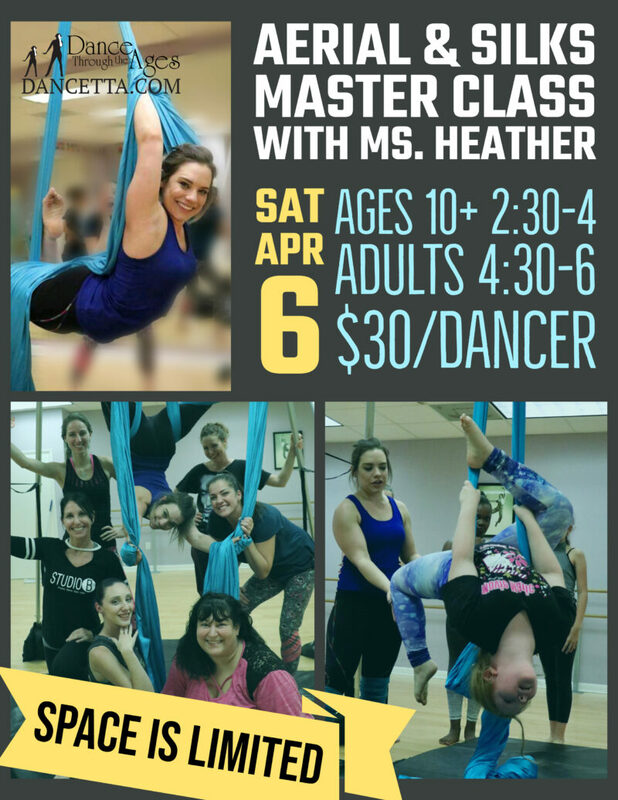 There will be a short warm up and stretch, followed by some basic exercises on silks to learn about proper muscle engagement and safety. Students will have the opportunity to climb high and learn some beginner level tricks focusing on single foot-locks. Leggings recommended.